The devices are now at the Eugene Police forensics lab for processing. "Our hope is we get some physical evidence off it, and that physical evidence leads us to potentially somebody involved in the production and/or deployment of these devices," Natt said. On January 9, two days before the deadly shooting outside the school, police in nearby Springfield received a screenshot of a Facebook comment on a story about a man shot and killed by police in Portland. A comment posted by "Charlie Landeros" read, "Time to start killing pigs," investigators wrote. An art exhibit at CulturalDC’s former Flashpoint Gallery in the nation’s capital allows visitors to throw trash at a vacuuming Ivanka Trump lookalike. 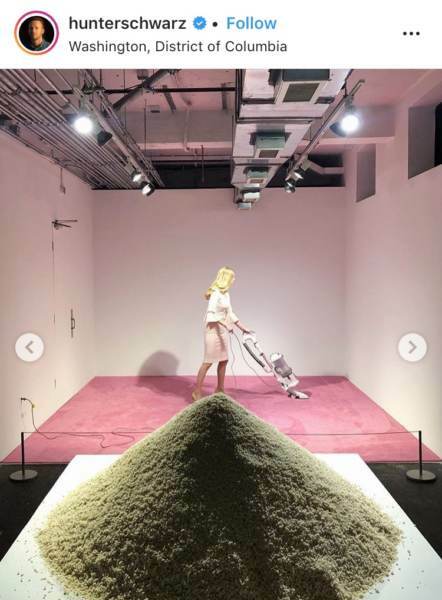 “Inspired by a figure whose public persona incorporates an almost comically wide range of feminine identities – daughter, wife, mother, sister, model, working woman, blonde – Ivanka Vacuuming is simultaneously a visual celebration of a contemporary feminine icon; a portrait of our own relationship to that figure; and a questioning of our complicity in her role-playing,” the press release says. Why aren’t the feminists defending Ivanka Trump, or women in general over this exhibit that reflects every ugly stereotype that they claim to fight against? This Ivanka Trump lookalike (Jennifer Rubell) is also shaming stay-at-home wives and mothers who choose to forgo a career to rear children and take care of the household. Ivanka Trump is a business owner, mother, wife and philanthropist — a woman who would be celebrated by feminists worldwide if not for the sin of her being Donald Trump’s daughter. UPDATE: The Gateway Pundit has interviewed the victim. A Tennessee man was arrested on Saturday after pulling a gun on a couple over the fact that they were wearing a Make America Great Again hats. 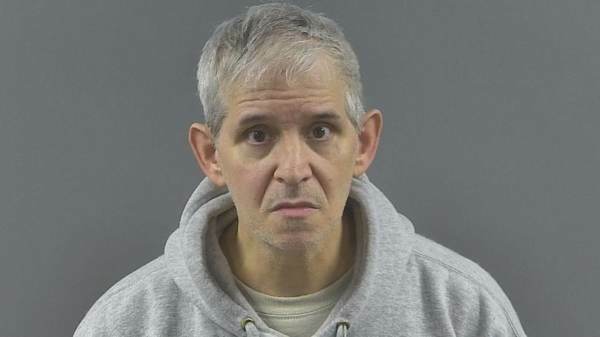 Terry Pierce and his wife were wearing MAGA hats at a Sam’s Club in Bowling Green, Kentucky, when James Phillips flipped them off. “I have as much right to wear that hat and support my country and my president as he has not to,” Pierce said. Phillips reportedly left the store after flipping the couple off — so Pierce went outside to confront him. The police report says that surveillance footage from the store confirms that Pierce had not touched Phillips. “The report does mention that witnesses and Pierce said Phillips pulled a gun on Pierce inside the store but this couldn’t be seen on surveillance video due to Phillips backing out of the view of the camera,” 13 News reports. Phillips was armed with a Glock .40 caliber with a round chambered and two additional magazines, according to the police report. He reportedly has a concealed carry permit in Tennessee. Phillips is currently being detained in the Warren County Regional Jail and is charged with wanton endangerment first degree.